As a senior journalist was shot outside her home in the southern Indian city of Bengaluru, India’s press freedom and freedom of speech is under the scanner once again. Lankesh was shot dead as she was entering her residence in Bengaluru on Tuesday night by yet unidentified assailants, who reportedly fled on a bike. She was found by her neighbours and the spot where she was found was reportedly under CCTV surveillance. Lankesh was a vocal opposition to Hindutva politics, critical of the right wing of India and a noted anti-establishment voice. Her murder has been compared to those of Govind Pansare and MM Kalburgi, both of whom were activists who spoke out against certain Hindu beliefs and superstitions, and died under similar circumstances. “Critical journalists and activists have increasingly faced threats and attacks across India in recent years. State governments must act to protect those whose voices of dissent are being silenced,” stated Asmita Basu, programmes director at Amnesty International India. When “intellectual” becomes an abuse, words are replied with bullets. Don’t be shocked. Go after the killers. While condemnation of this incident has poured from all corners of the country, many also hope that there is swift and tangible justice done for her death as well as assurance by authorities to journalists and activists to continue their work. Threats and abuse have become commonplace in the world’s largest democracy, most notably on social media platforms such as Twitter, for those who express dissent have been met with threats of violence of both physical and sexual nature, mostly by supporters of the ruling party. 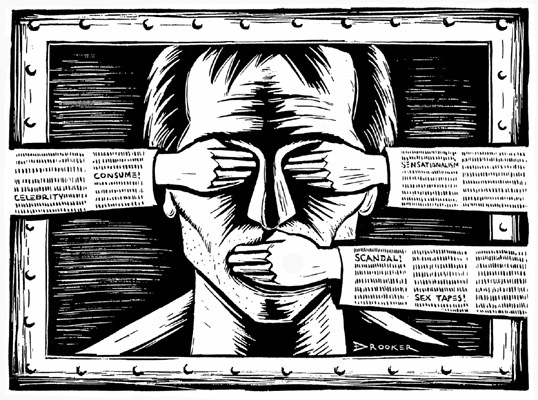 In the RSF report that ranked India earlier this year at 136 out of 180 countries in the world on the World Press Freedom Index, it was stated that “With Hindu nationalists trying to purge all manifestations of ‘anti-national’ thought from the national debate, self-censorship is growing in the mainstream media.” Critical areas, such as the ‘red corridor’ in states such as Chhattisgarh and Jammu & Kashmir, have also seen numerous journalists being threatened physically as well as in other forms, including bans and censorship. 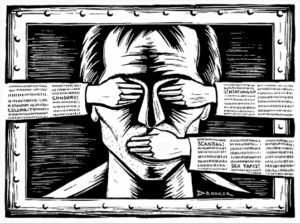 However, not only is the concept of press freedom to be worried about, the right to dissent in the country is also under scanner. The increasing politicisation of the journalist’s death within hours of the occurrence also stands the danger of seeing the country’s real issue – the loss of a safe space for pluralist voices in a democracy. As a number of protest meetings and vigils are being organised across the country today, one can only hope that this alarming issue begins to see some form of resolution.